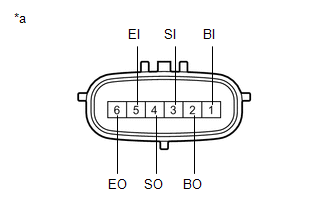 (a) Disengage the 2 claws to remove the No. 2 ultrasonic sensor retainer from the front bumper assembly. 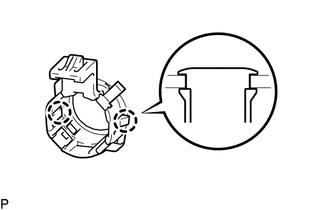 (a) Engage the 2 claws to install the No. 2 ultrasonic sensor retainer to the front bumper assembly. Do not damage the front bumper assembly with the protrusion when installing the No. 2 ultrasonic sensor retainer. Securely install the No. 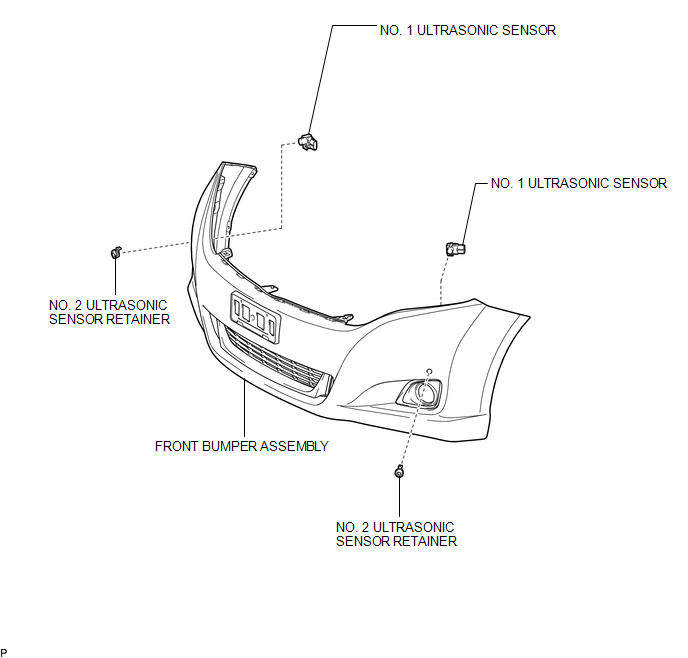 2 ultrasonic sensor retainer so that there are no gaps between the retainer and surface of the front bumper assembly. When installing the No. 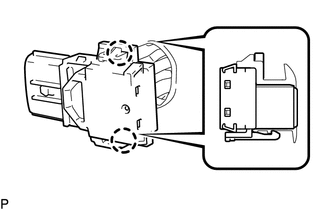 2 ultrasonic sensor retainer, align the keyhole and snap as shown in the illustration. 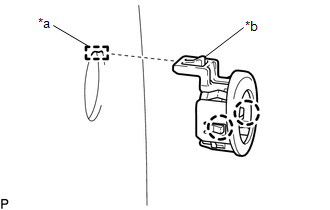 (a) Engage the 2 claws to install the No. 1 ultrasonic sensor to the No. 2 ultrasonic sensor retainer. Push the No. 2 ultrasonic sensor retainer from the outside of the front bumper assembly when there is a gap between the No. 2 ultrasonic sensor retainer and the front bumper assembly surface. In this case, do not push on the No. 1ultrasonic sensor.